Stainless steel sinks are standard in most kitchens. They are popular because they are inexpensive yet durable and promise an enduring beautiful look. However, it can be a bit of a challenge to keep them sparkling clean. Not cleaning them using the correct techniques and products, will result in scratches or spots, which definitely take away their beauty. Furthermore, irrespective of the type of water you use, the minerals in the water will leave water spots on the sink over time. 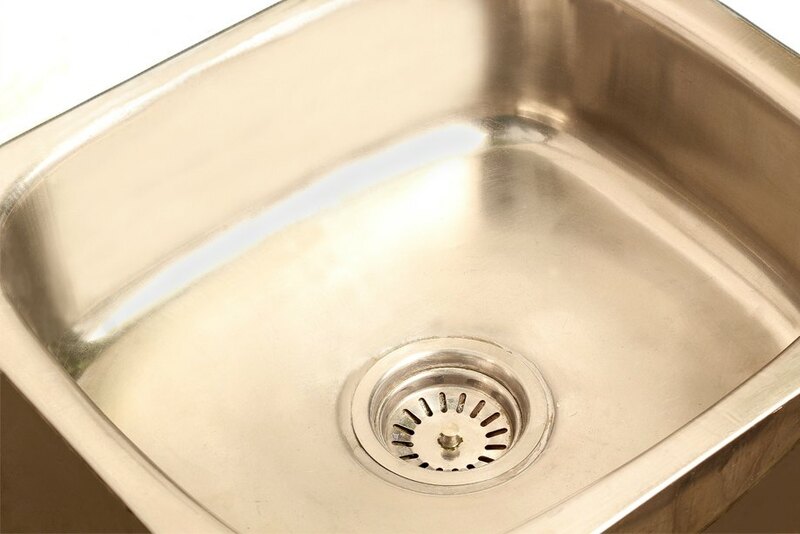 To restore the smooth, lustrous appearance of your stainless steel sink, you need to clean it in a proper manner. The key is to use natural and non-abrasive cleansers and tools to clean a stained stainless steel sink and make it sparkle. Using harsh chemical products can damage the look and texture of the steel, and abrasive products can lead to ugly scratches. Begin the cleaning process by emptying the sink. 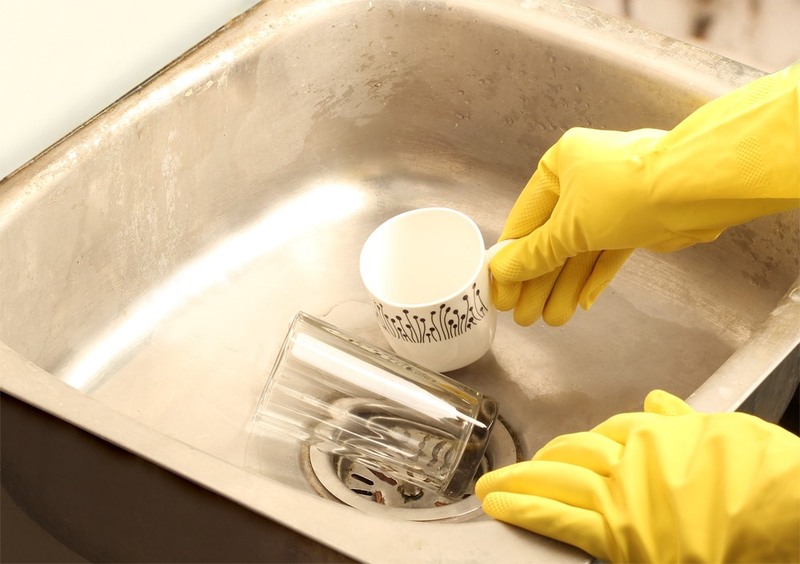 Remove all dirty dishes as well as food bits from the sink. Then, give the whole sink a quick rinse with hot water. 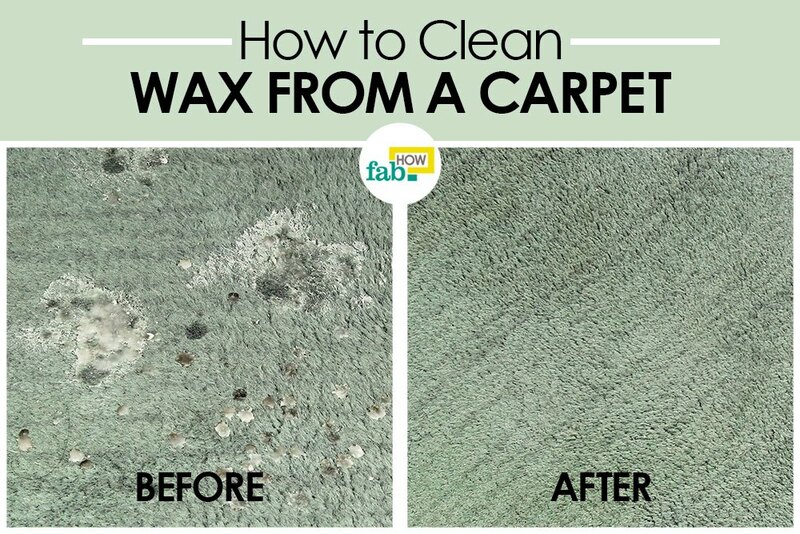 This will help get rid of dirt, loose food particles and other debris. 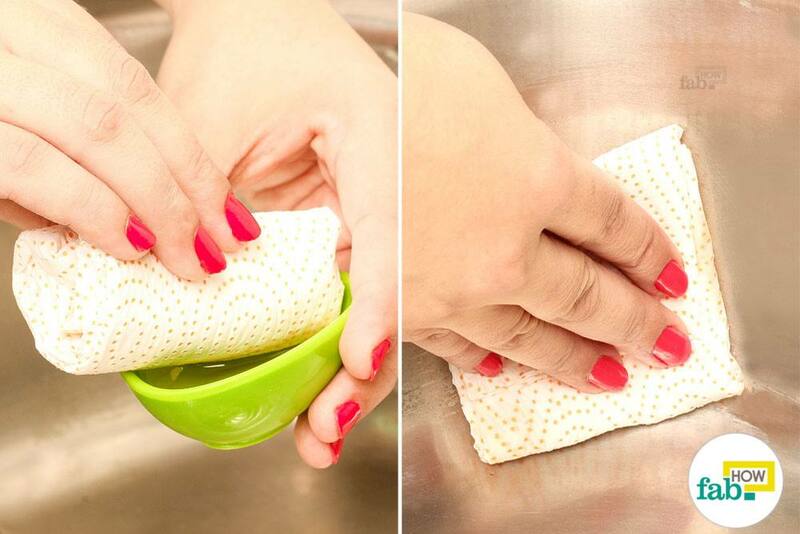 Sprinkle the entire sink with baking soda. Make sure to put the soda on the rim of the sink as well as the faucet. Wait 5 to 10 minutes before moving on to the next step. 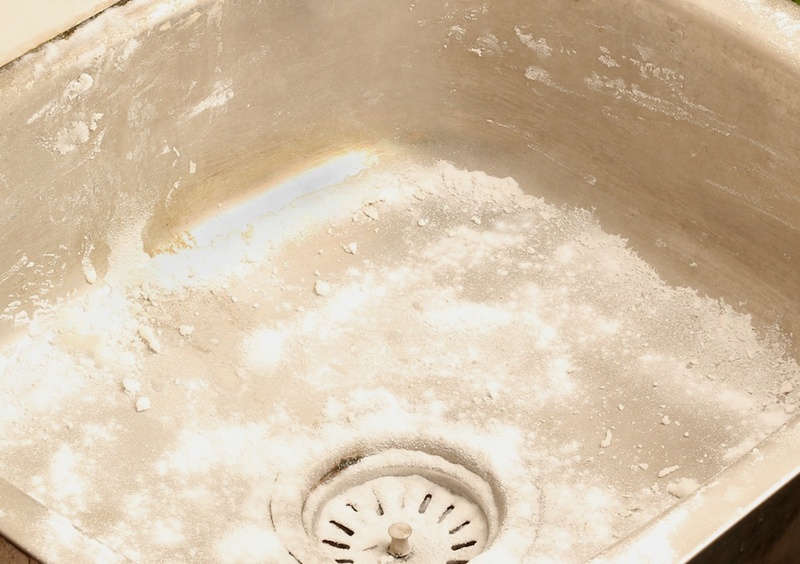 Baking soda will help remove light hard-water deposits as well as grease marks from the sink. It also helps to remove stubborn limescale stains. Plus, it will not cause scratch marks on the surface of the steel. Once the baking soda has done its work, it’s time to give the sink a nice scrub using a soft scrubber. Instead of scrubbing back and forth, always rub in the direction of the finish of the stainless steel surface. For stubborn stains that are more noticeable, work in a circular movement to remove the stains and marks. And don't forget to clean the outside of the sink, too. 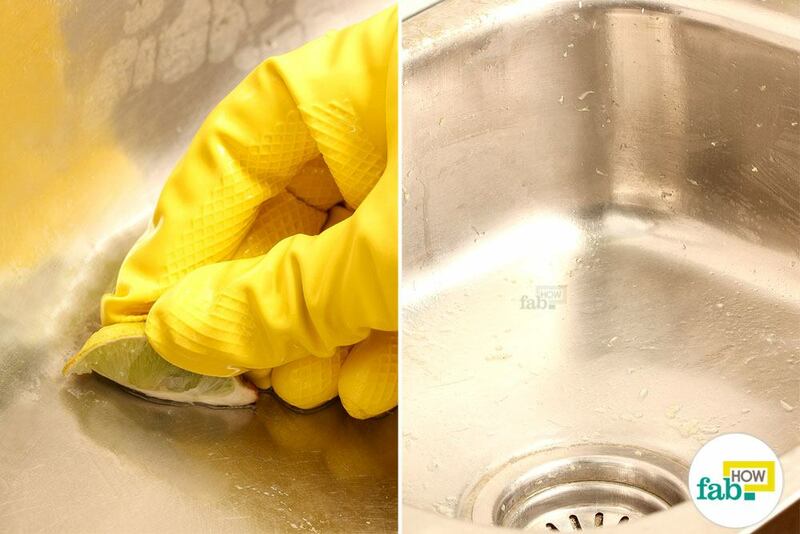 After cleaning the sink’s surface, rub the rim as well as the tiles above the sink. These are the most neglected areas that need a good scrub. 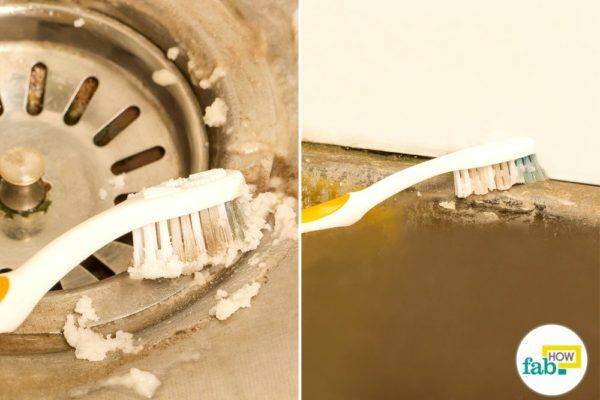 Put some baking soda on a wet, old toothbrush and use it to clean around the edges and on smaller surfaces. You can use the toothbrush to give the drain opening a nice scrub, too. Then, rinse the entire sink area thoroughly with hot water. Put a stopper in the drain and pour some distilled white vinegar on the sink. Within seconds you will notice bubbles and fizz. Allow the vinegar to sit for 10 to 15 minutes to do its work. 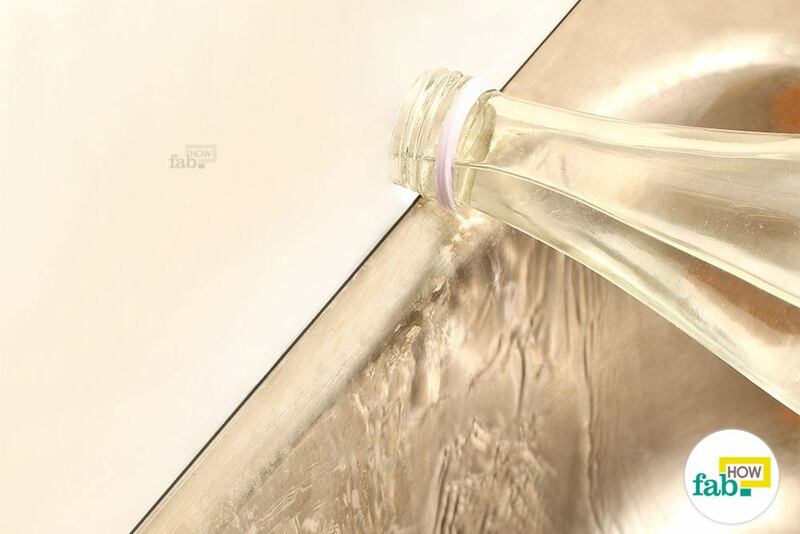 White vinegar works as a natural disinfectant and its acidic nature helps remove hard-water stains from the surface. Next, use a medium-bristled brush to lightly rub the sink. Then, rinse the sink with hot water. Hot water will keep the sink drains clean and free of clogs. 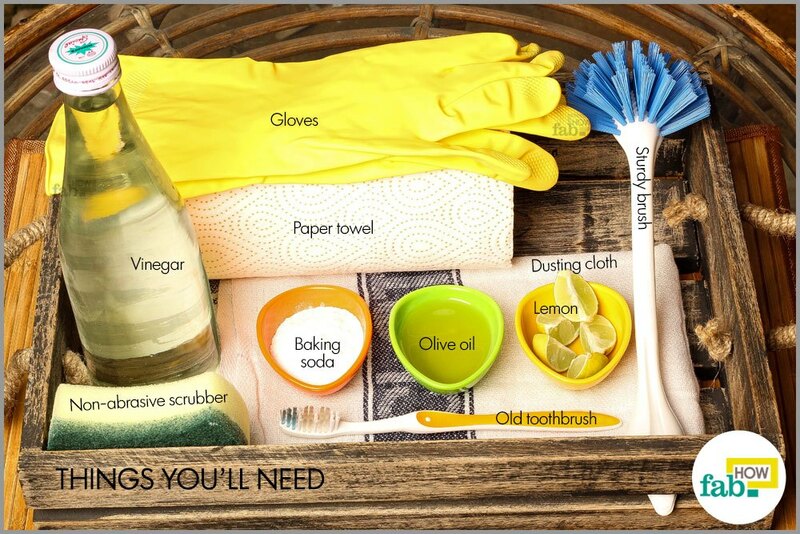 Next, use a lemon wedge to rub the entire sink basin. This will deodorize the sink as well as add a shine. Wait 5 minutes before rinsing the entire sink with hot water. Instead of lemon, you can also use orange or orange peel. To remove the droplets of water left behind after cleaning, use a dry rag to thoroughly wipe down the whole sink. This will prevent water spots. The final step is to buff the surface of the sink with a paper towel and a little bit of olive oil or baby oil. 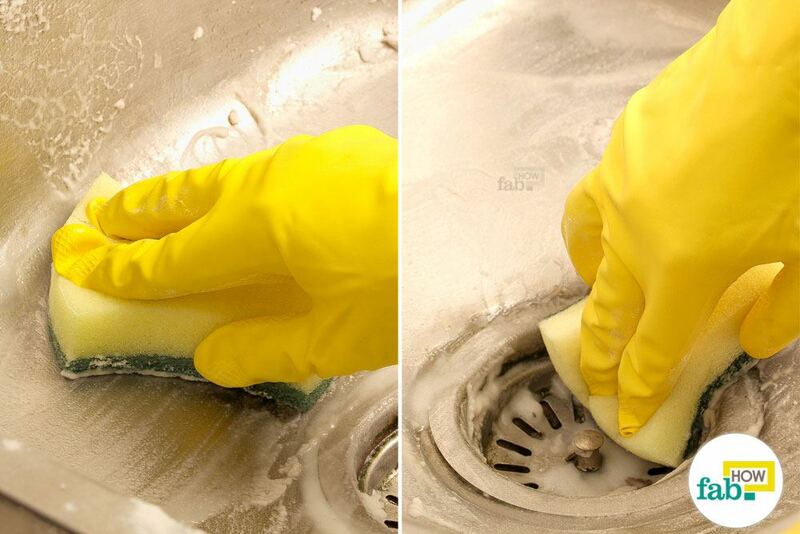 This will help remove streaks and scratches from the surface and keep the sink shiny for several days. You can even polish the sink with a soft, lint-free cloth. Now, your clean, shiny and germ-free stainless steel sink is all ready for the next use. After each use, rinse your sink thoroughly with hot water. At night, wipe it down to keep the sink dry and prevent accumulation of water marks. 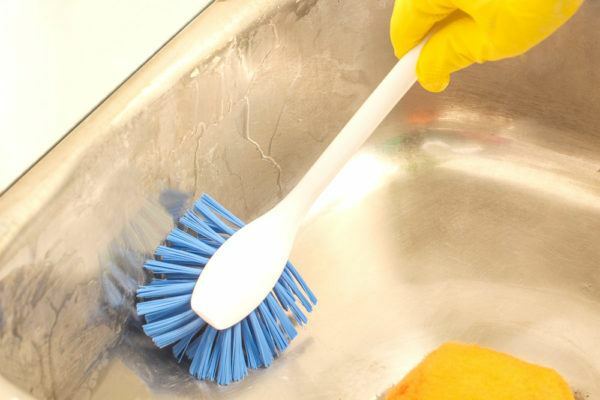 Do not keep dirty utensils in the sink for a long time. Do not use abrasive cleaners, such as steel wool and steel brushes as they may leave scratches. Avoid leaving soap dispensing wands, sponges, towels or rags to dry on the sink's surface. Do not leave tea bags, coffee grounds or other staining products in the sink.